Your concrete surfaces take a real beating throughout the year. Between the weather, the kids, the pets, the cars, and all the other various traffic they get, horizontal surfaces can get incredibly stained and dirty after a year of hard use. Due to the porous surface, this dirt and debris is easily caked in and can get even more caked in with repeated pressure and exposure, as comes with a car parking in the same spot or a basketball hoop left in the same area. In order to give your concrete that brand-new look, our expert staff uses advanced concrete pressure washing technology and cleaning detergents that will give your concrete a fresh, new look. 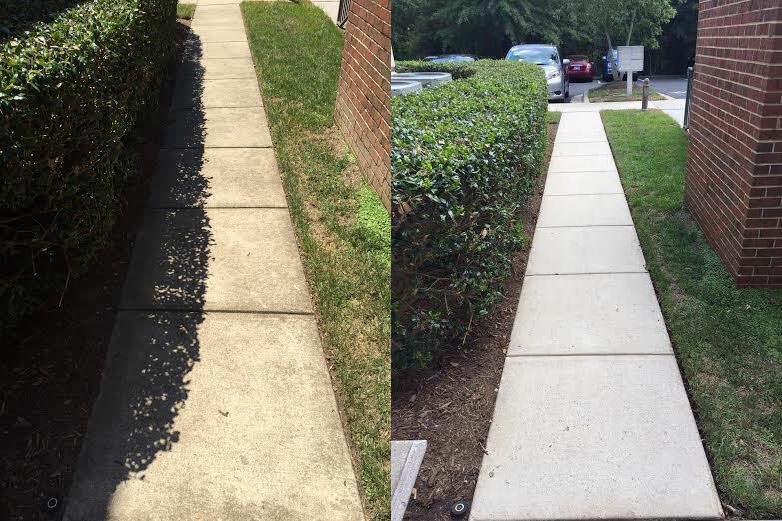 If your concrete is looking much the worse for wear, it might be time to get concrete pressure washing services. Since your concrete is often one of the first things people notice when they come to your home or business, a key part of your first impression is concrete so clean it nearly sparkles. If you want to have a great first impression with your guests or clients, contact us today at 919-645-8530 or online to see what a difference we can make!